The heavyweight division in boxing had faced what is infamously known as a dormant period for the past decade or so. For a period of 13 years post the retirement of heavyweight legend, Lennox Lewis, the division had continued to face quite some criticism. After a spectacular run that included 18 consecutive title defenses, Wladimir Klitschko looked to be the only heavyweight who absolutely dominated the division. This inability to find good heavyweight prospects was a result of not just a lack of good trainers, but also, the lack of money available in boxing. However, for the past year or so, the division has seen some progress thanks to the likes of big names like Anthony Joshua, Deontay Wilder, and the "Gypsy King", Tyson Fury. Anthony Joshua landing an uppercut during his fight against Wladimir Klitschko! In April 2017, Anthony Joshua was set to face Wladimir Klitschko, who was then the WBA, IBF, and IBO heavyweight champion of the world. In a grueling fight that lasted 11 menacing rounds, rising star Anthony Joshua had finally met his match. Prior to the Klitschko fight, none of Anthony Joshua's previous opponents had seen anything more than the 7th round. After being dropped once by Klitschko in round 6, Joshua had to look deep within his boxing prowess to bring out the absolute best in him. 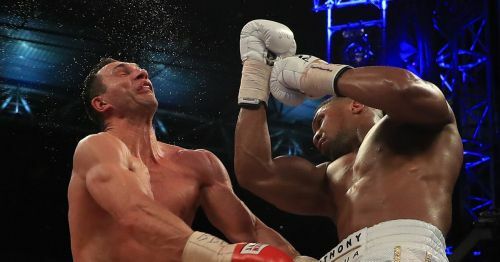 The fight eventually ended in a technical knockout that came in the 11th round, with Joshua claiming all of Klitschko's belts. Since this event, there has been a lot of talk about the future of the heavyweight division. 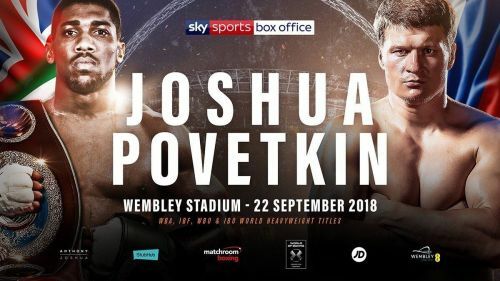 Earlier this year, in March of 2018, Joshua was set to face Joseph Parker, a fight that many considered as the stepping stone towards the much awaited, Joshua - Wilder fight. Joshua technically broke down Joseph Parker and eventually stopped him in the 12th round. Deontay Wilder, too, showed tremendous heart in his previous encounter with heavyweight giant, Luis Ortiz, who he beat via technical knockout. Wilder is known for his brutal knockout power and in the Ortiz fight, he showed that even if he was made to box rather than just entice fans with a slugfest, he could very well adapt and score the victory. Post this win for either fighter, the stage was set for the ultimate, Joshua - Wilder showdown. But as anticlimactic as it sounds, it wasn't to be. Boxing fans were in for a shocker as rumors have it that last-minute negotiations did not come through. The contract was said to have not been returned by Wilder's camp and the fight was canceled. 7 heavyweight professional boxers of all time and their fighting styles.